How is your week going so far? 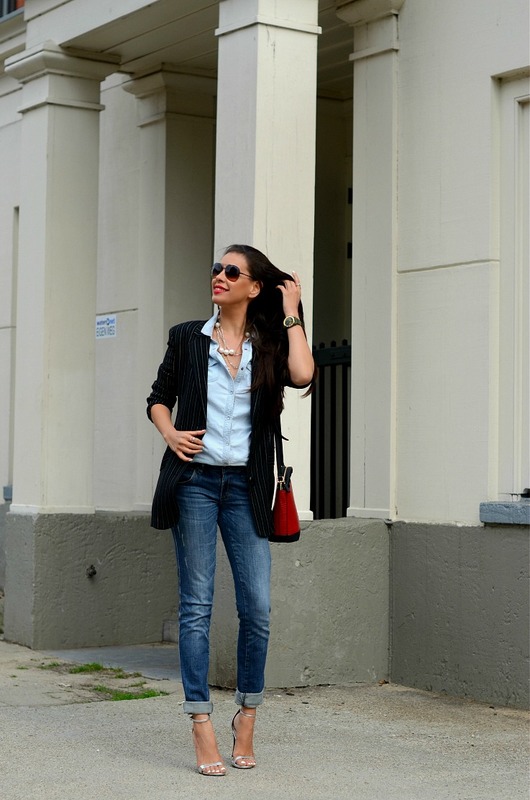 I currently love the denim on denim trend. It’s so cool, edgy and a huge fall favorite for me. With the weather quickly changing I opted to dress this look with an oversized pinstriped blazer to keep me warm while adding pearls and a statement red bag for a colorful yet “classic chic” finish. 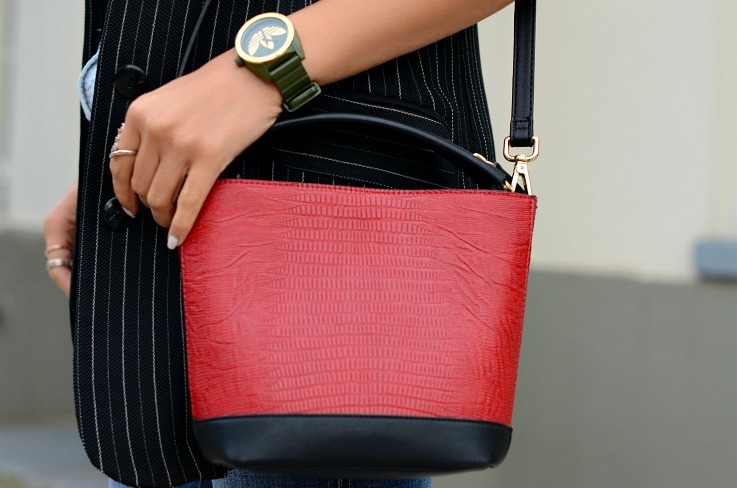 A statement red bag is thé must have for fall. Look around when you go shopping, and you will find them in almost every new fall collection in brand stores and the luxury brands. Red is one of my favorite colors, so I am sure not complaining here. It’s easy to match a red statement bag with any casual outfit and it absolutely looks gorgeous on black, camel, burgundy, brown and grey just to name a few basic colors. Make sure you pick up a red statement piece yourself and try out different looks with it this fall. It is a fun way of brightening up the gloomy rainy days ahead of us. What do you think?